Our own lightweight, durable kevlar bags. Large enough for overnight and weekend excursions. 20" x 10" 10"
Please note, the color of sailcloth varies from bag to bag. 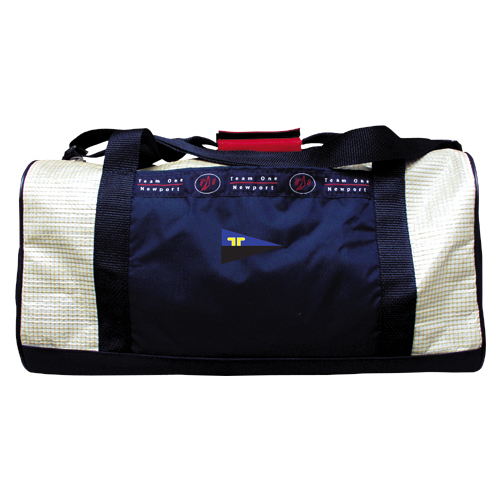 This duffle bag has the Mudheads burgee embroidered on the pocket.